The National Bank of Kuwait (NBK) has launched Swift’s global payments innovation (gpi) using the integration capabilities of ACI Worldwide’s payment engine. Through this implementation, the bank now allows its customers to execute same day transfer and use of funds, with reduced timelines and greater transparency. “Leveraging the richer data of Swift gpi messages will allow NBK to further optimise the customer experience and differentiate against competitors,” says Craig Ramsey, head of real-time payments, ACI Worldwide. “ACI’s certified gpi module enabled us to configure ACI’s Money Transfer System and lead as the first bank in Kuwait, and one of the first in the wider MENA region, to become a Swift gpi member bank,” adds Mohammed Al-Khorafi, general manager, operations group, NBK. 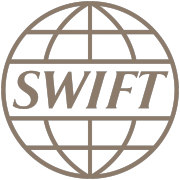 ACI Worldwide says it is the first certified vendor of Swift gpi solutions, which means it allows banks to plug into Swift’s central database to monitor inbound and outbound gpi transactions. The gpi Data Service and gpi Connect capabilities are available as part of ACI’s UP Real-Time Payments solution and ACI Money Transfer System.